Technical: Teaching goalkeepers the proper techniques of the position not only helps goalkeepers to play better but also minimizes the chance of injury. Tactical: Goalkeepers will learn to make the proper decisions during a game including positioning, when to come off the line to make a save, whether to catch or deflect a ball, etc. Physical: Training will help improve each goalkeeper's fitness in terms of goalkeeper needs, helping them to jump higher, improve their lateral movement, move their feet faster and with more agility, etc. Psychological: A large part of being a successful goalkeeper is dealing with the mental demands of the position: Being able to maintain focus throughout the game, not losing composure after allowing a goal, being able to organize the defenders, playing with confidence, etc. Paul has been coaching at the college level for 15 years, as both an assistant and head coach at the NCAA Division I and III levels with both men's and women's programs. Paul is the currently the head coach for the Bryn Mawr Women's Varsity. Before coaching at Bryn Mawr, Paul was the Assistant Coach for the Haverford College Men's program. He helped guide the squad to a second round appearance in the 2012 NCAA Tournament and a Centennial Conference tournament title. Paul is in charge of goakeeper training. The Haverford starting goalkeeper averaged a goal against every 81 minutes in his nearly 1800 minutes played over 21 matches. Paul has also served as Assistant Women's coach at Clarkson University in NCAA Division III; Women's Head Coach Colby-Sawyer College, also NCAA Division III; and Assistant Coach for both Men and Women at Colgate University in NCAA Division I. He also worked for one year at the NJCAA Division I level (two-year program with scholarships) at Iowa Central Community College as an assistant for both the men's and women's teams. At the youth level, Coach Stinson worked with New Hampshire ODP (three years) and served as the Odyssey Sport SC Boy's Director of Coaching for five years. He is currently the head coach for two LMSC travel teams (one boys team, one girls team). He also currently works with the goalkeeper staff at YSC / Union Juniors. At Clarkson, Coach Stinson instructed a GK who ranked in the top ten nationally in save percentage; at Colgate he coached three All-Patriot League GKs (one woman, two men). He designed and ran the Odyssey goalkeeper training program. He has worked alongside coaches such as Phil Wheddon (Syracuse Women's Coach and former US National Team GK Coach), Jason Batty (San Jose Earthquakes GK Coach), BJ Callaghan (YSC/Philly Union Jrs GK Coach), as well as numerous other collegiate coaches. 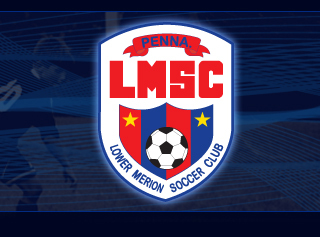 LMSC Travel Team goalkeepers who would like to get more information about the goalkeeper training offered by LMSC should contact LMSC President Biff Sturla and request to get on the LMSC goalkeeper e-mail list. 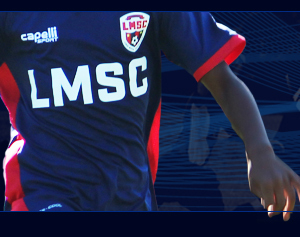 LMSC regularly sends out information to our travel team goalkeepers about training opportunities during the season.